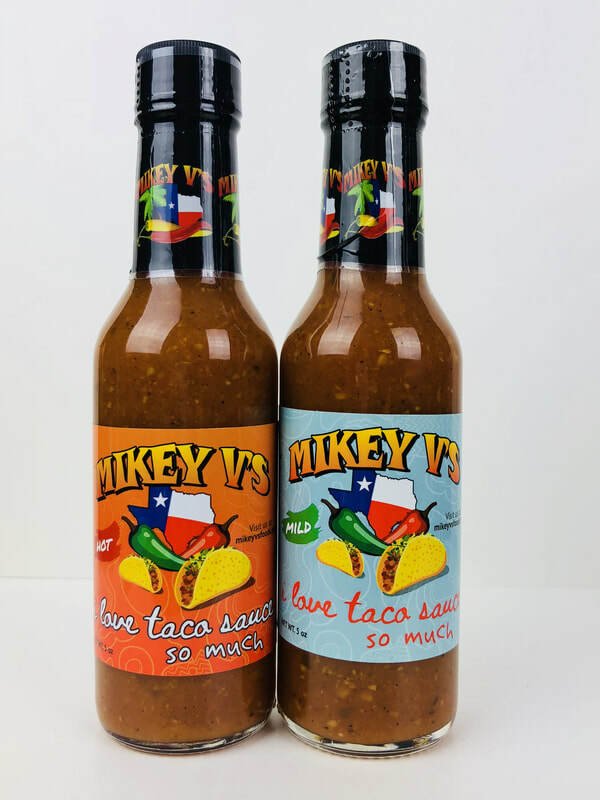 I LOVE TACO SAUCE from MIKEY V'S FOODS.. This sauce screams TACOS! The flavor is just what you would think of when talking about tradition tacos! The mixture of tomatoes, vinegar, fresh garlic, salt, and canola oil, works so wonderfully together, but what really makes this sauce come alive is Mikey V's Taco Seasoning! 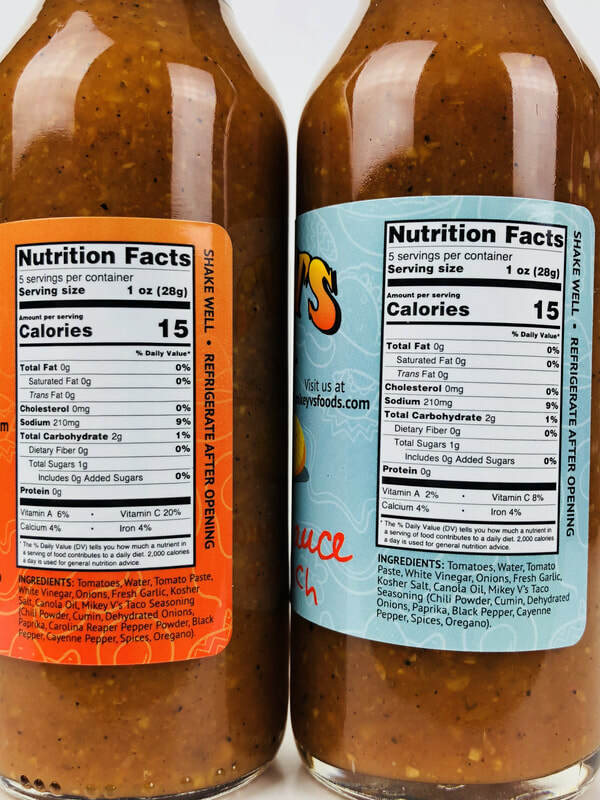 (chili powder, cumin, dehydrated onions, paprika, black pepper, cayenne pepper, spices and oregano) All these traditional south of the border flavors is what really sets these sauces apart. When you think Mexican foods, pizza, eggs, just pouring it on chips, fries, pizza, anything at all and of course ANY TYPE OF TACOS, pour this on!!!!! This sauce comes in mild and hot. They both have have the same amazing flavor! (The hot has the addition of the Carolina Reaper pepper for the extra heat) Bravo!! GET THIS SAUCE!! 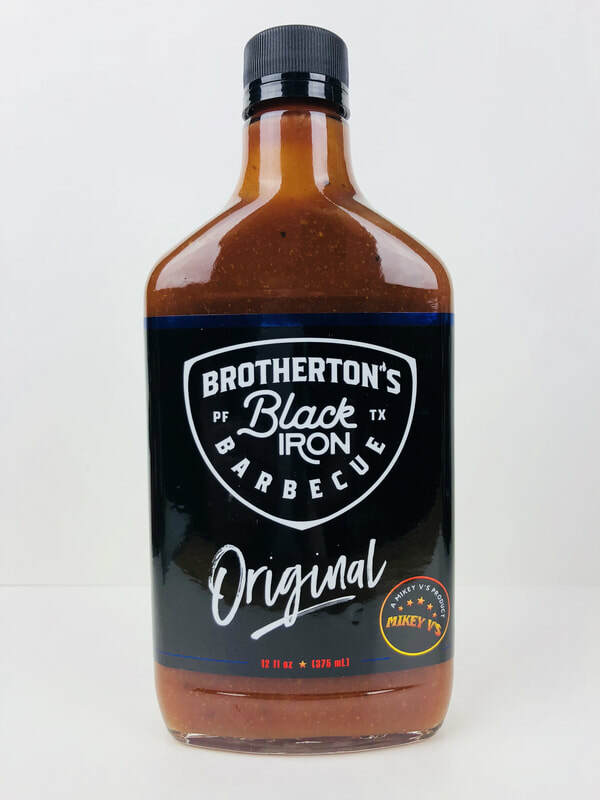 BROTHERTON'S BLACK IRON BBQ SAUCE from MIKEY V'S FOODS.. This Barbecue is so good I could pour it in a cup and drink it! 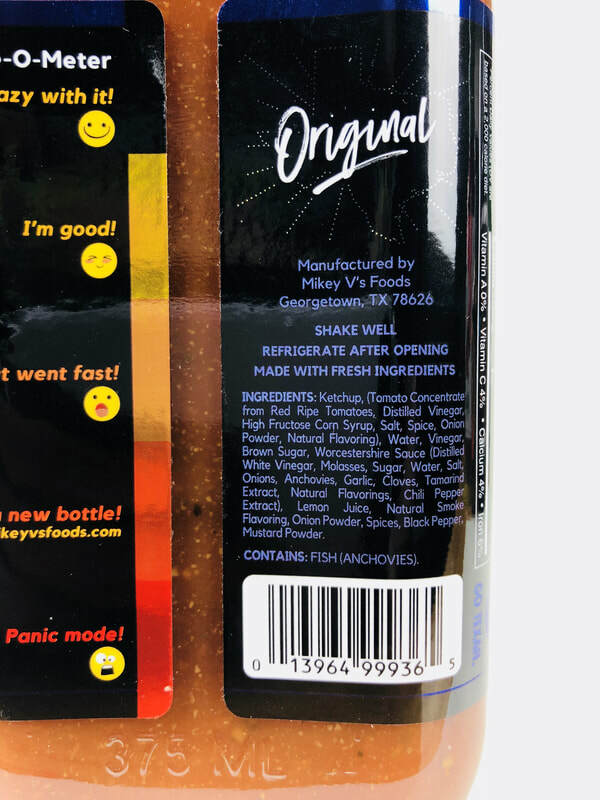 It has a rich full flavor of just what you would think of when you think BBQ! It has a semi sweet flavor with pops of garlic, hints of clove, a smoky glow without being fake, tomato, onions and a full list of ingredients. I'm truly love this sauce. This has a full rounded flavor that ANYONE will love. Chicken, pulled pork, ribs, sloppy joe, you name it! Get this sauce and get grilling! Next stop Barbecue chicken pizza, and pulled pork sandwiches! 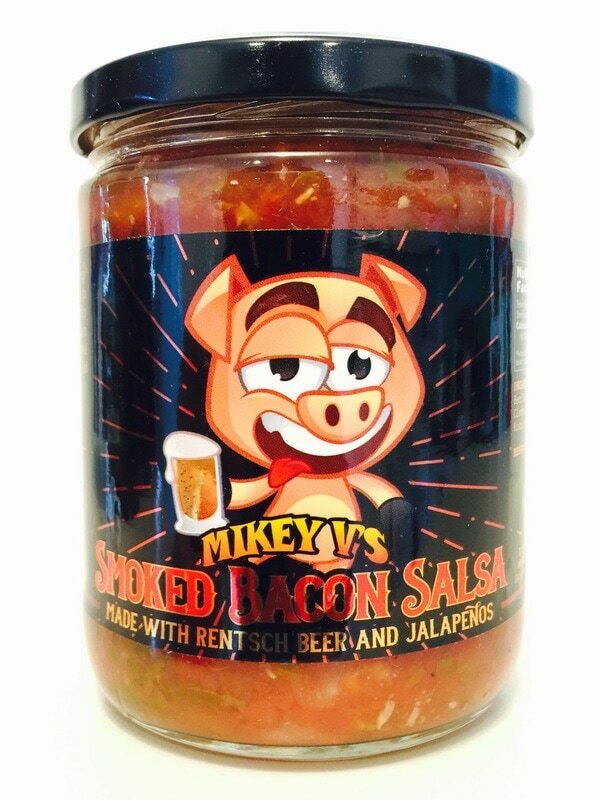 SMOKED BACON SALSA from MIKEY V'S FOODS.. This is the first beer infused salsa I have tried and its delicious! A rich smokey, bacon, tomatoey delight. With jalapenõ, lime, garlic, cilantro, onion, natural bacon flavor, cumin, spices and the infusion of Rentsch beer, you will love the fresh taste of this salsa! I found it to have a great smokey, bacon, garlic, onion flavor that mixes so well with the tomato based sauce. I can't get enough, and the more I eat, the more I want! Excelent job Mikey! 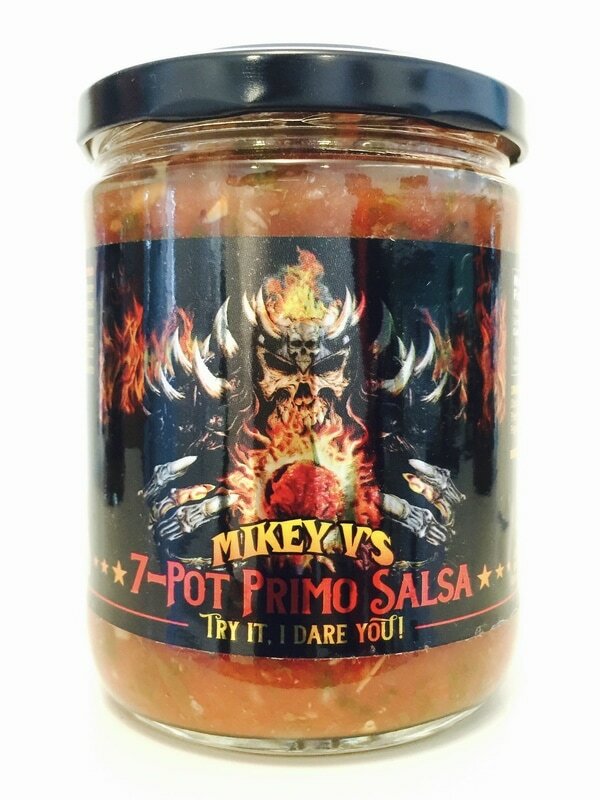 7-POT PRIMO SALSA from MIKEY V'S FOODS.. Get ready to get fired up! This is possibly the hottest salsa I've ever had. The 7-pot primo pepper is front and center with tomato, onion, jalapenõ, lime juice, garlic, cilantro, sugar, salt, black pepper and spices. Full flavor, then burn, lots of burn, then the flavor of all the ingredients starts to follow through with more burn, but you can really taste all the freshness this salsa has to offer. Mikey teamed up with Troy Primo who invented the 7-pot primo pepper to bring this salsa to light, along with the inspiration of Bill Moore. TEXAS EX'S from MIKEY V'S FOODS.. This is one of the hottest salsas I have tried. 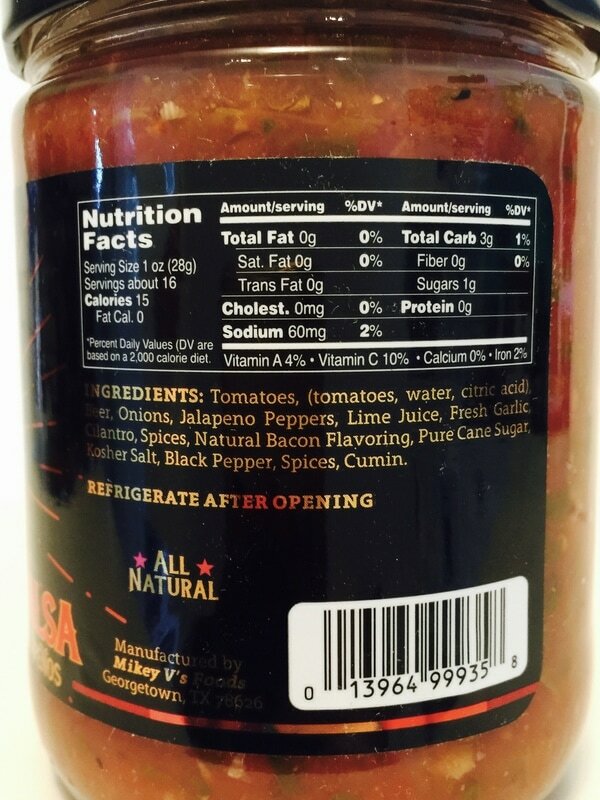 You would think that a salsa this hot would not have much flavor. Well its bursting with flavor that is excellent. There is a definite tomato taste with big chunks of all the tomato, full garlic flavor and the amazing flavors form all the hot peppers in this salsa. The super heat and pepper flavor is provided by the jalapeno, red Fresno, habanero, yellow scotch bonnet, bhut jolakia-ghost, yellow moruga scorpion and brown Trinidad scorpion peppers. As you can see this is loaded with the pepper heat and flavor. This salsa has just the right amount of salt to make this a excellent dipping salsa or added to your favorite dish. 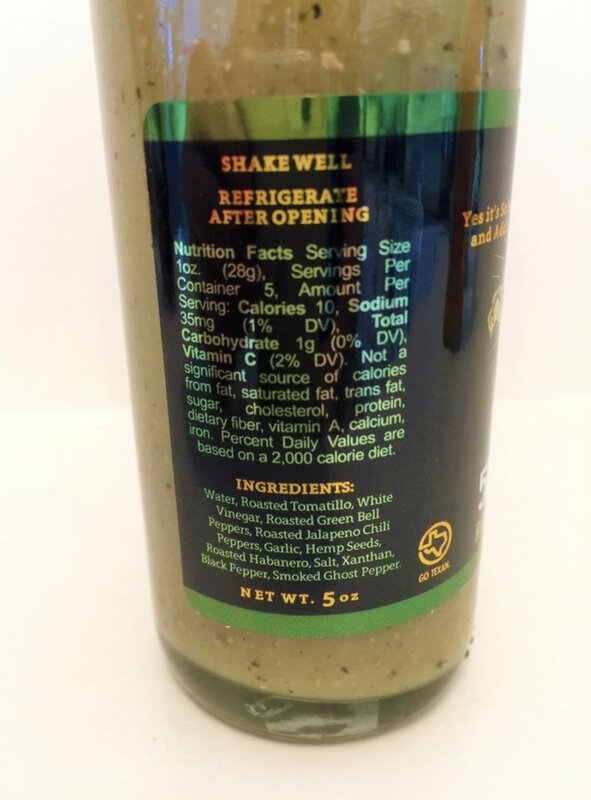 I added this to my morning breakfast omelette. The full flavor was just what my taco salad needed. You could also spice up your spaghetti sauce, chili or mixed in with your burgers on the grill. 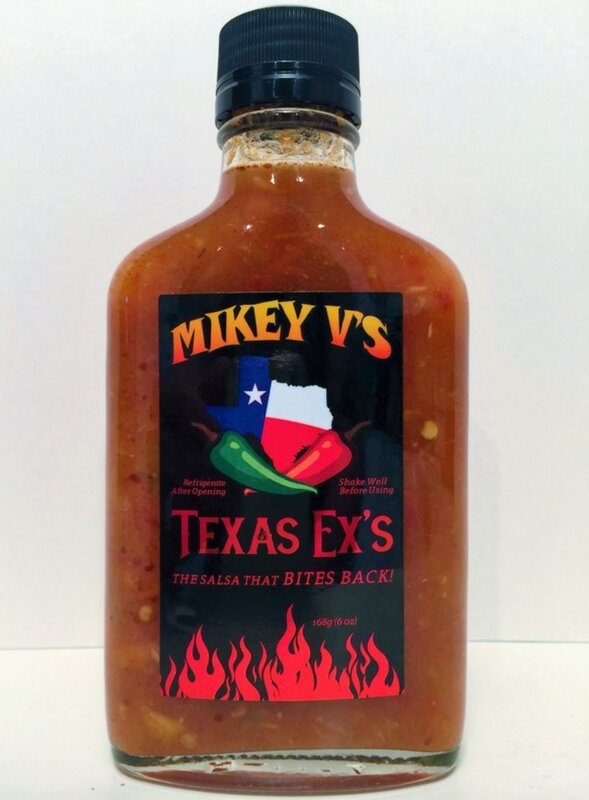 I'm sure you can find many ways to use Mikey V's Texas Ex's Salsa. 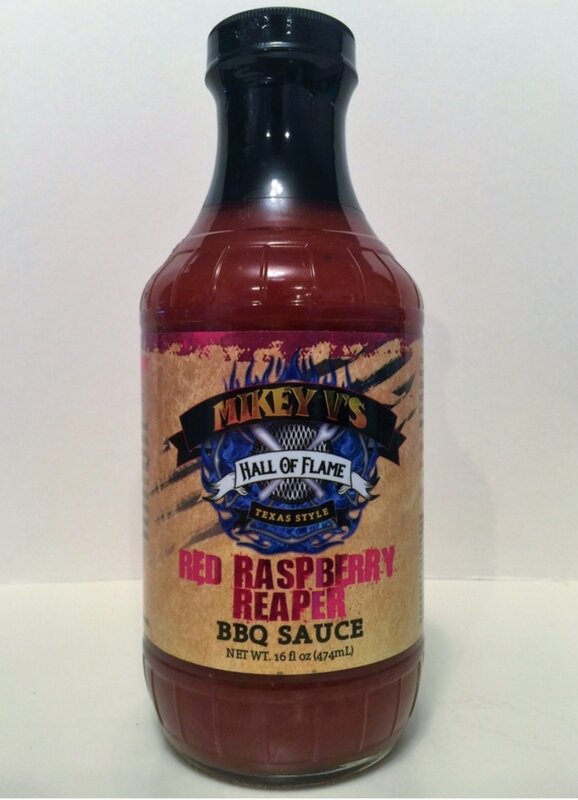 CHERRY BBQ SAUCE from MIKEY V'S FOODS.. The aroma when you first opened the bottle is cherry with a hint of mustard. It has a rich cherry flavor with tomato, a slight vinegar taste that burns off on the grill, and that hint of mustard flavor, followed by the sweetness from the molasses and corn syrup. The flavors meld very well and after grilling gave the chicken breast a wonderful sweet barbecued cherry and tomato flavor. It was fantastic! I also used it as a dip to add more of the great flavor to my meal. Being made with fresh ingredients it brought a real cherry flavor with no imitation taste. 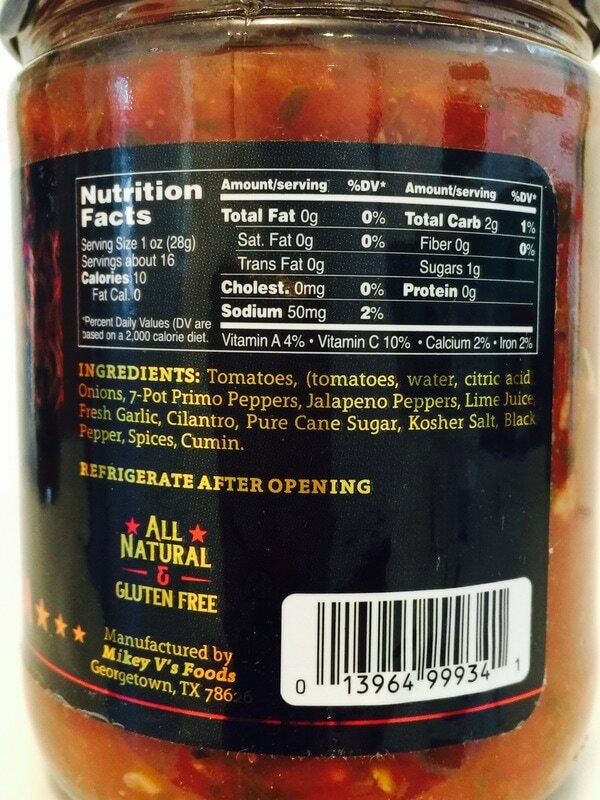 This sauce would also be great on pulled pork, ribs, on a grilled pineapple slice for your burger or even on a salad. Yum! 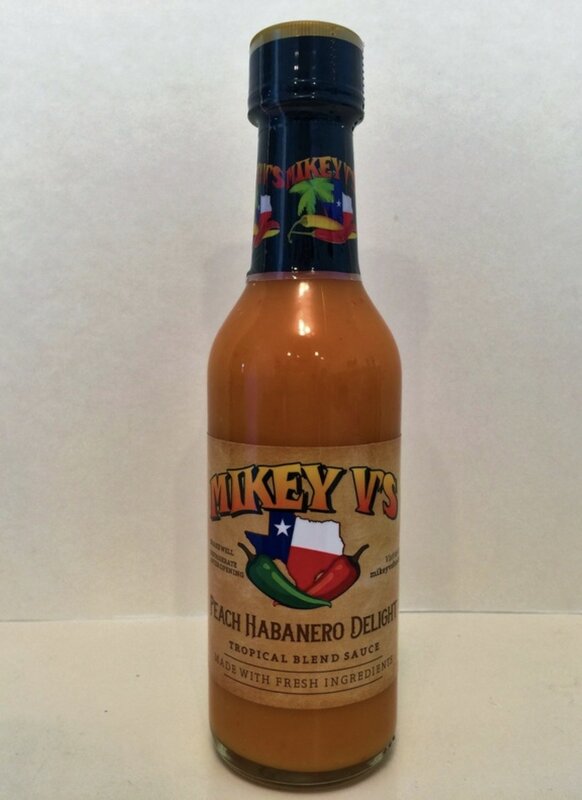 PEACH HABANERO DELIGHT from MIKEY V'S FOODS.. A mild heat, very creamy, slightly sweet hot sauce with a nice mixture of peach, pear and pineapple flavors. The purple onion, garlic, habanero and sweetness of the red pepper adds to the rest of the flavor without over doing the delicious tropical fruit taste. This is very mild in heat but bold in flavor. With the fruit flavor it was a perfect match on a chicken salad sandwich. This is also awesome on sushi or mixed in the coleslaw for fish taco's. I'm sure you could find many ways to enjoy this award winning sauce. 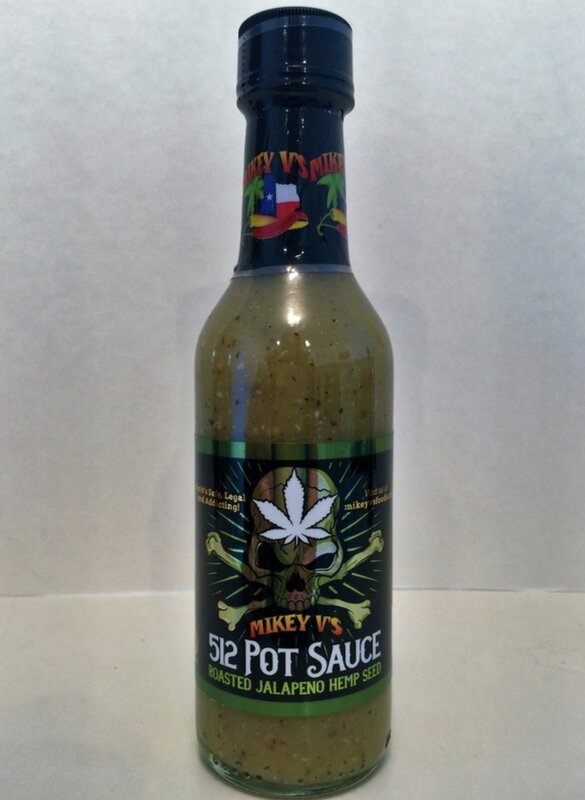 512 POT SAUCE from MIKEY V'S FOODS.. Take the fantastic flavor of smoky roasted tomatillo, habanero, ghost and jalapenos and you have the start of a great flavored hot sauce. Then you take garlic, hemp seeds and black pepper to round out the flavor. You can really taste all the ingredients with a smooth taste that makes a wonderful all around sauce you'll want to keep on your table. This takes Verde sauces to an entirely new level that shows you can have a smooth rich flavor without a strong vinegar sting. This was great on hot wings, used on sandwiches, chicken, pork, pizza or anything you would like to add a little roasted smoky flavor to. 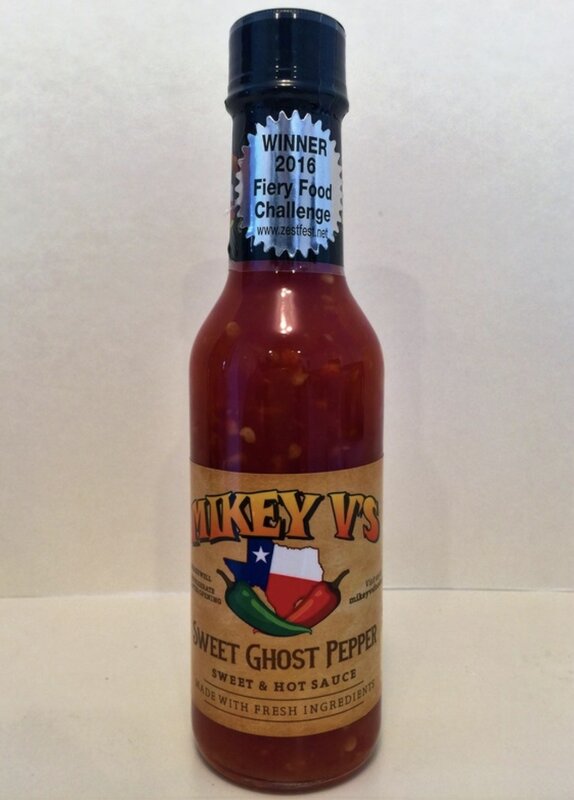 SWEET GHOST PEPPER from MIKEY V'S FOODS.. This sauce made me say WOW. Nice heat and flavor that reminds me of an oriental style sweet sauce but it goes way beyond that with the added ghost and big chunks of garlic. 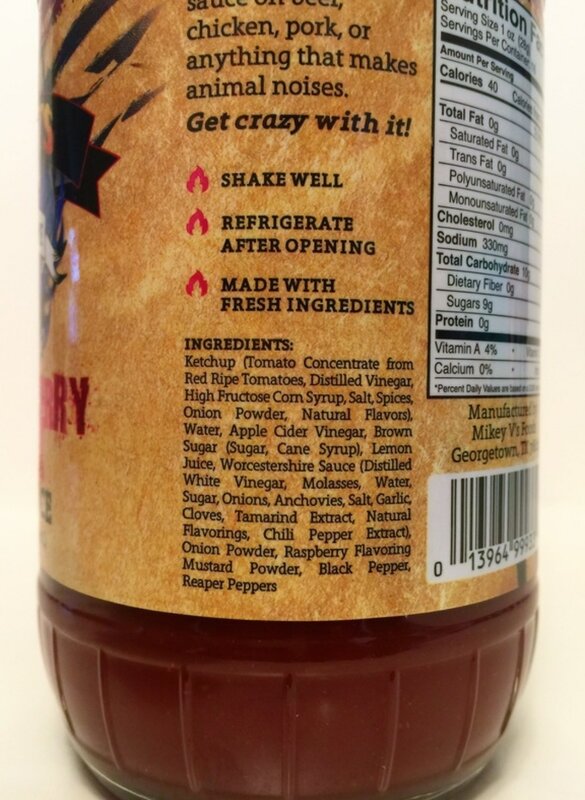 The fruitiness from the red Fresno pepper is a great addition to this wonderfully sweet hot sauce. I love this sauce! 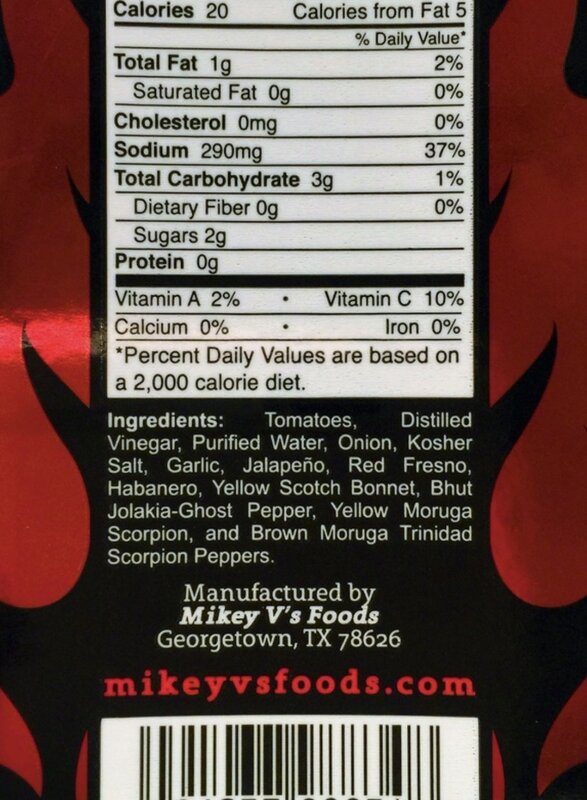 Once again Mikey V's makes a hot sauce that would be fantastic on wings, pork or used as a BBQ sauce. I'm taking the suggestion from their website to use it in cream cheese to make a fantastic dip. 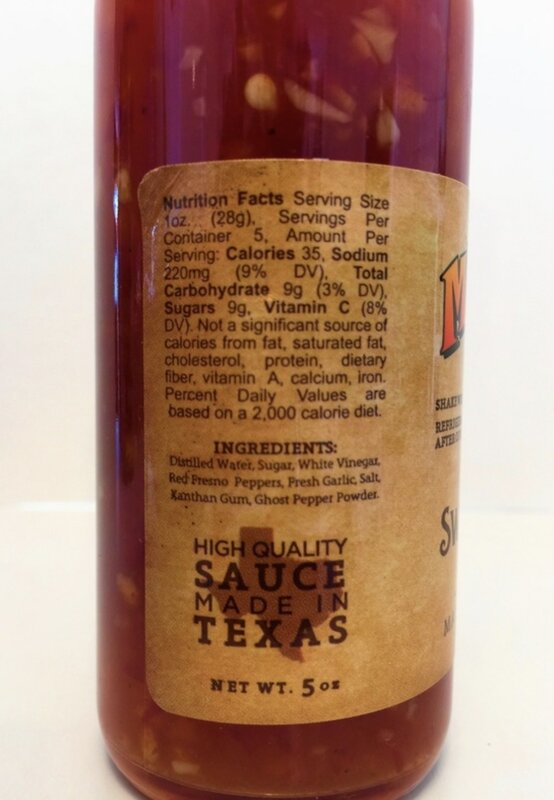 ​I like mixing a little REAPER UNLEASHED sauce with this sauce to really crank up the heat! 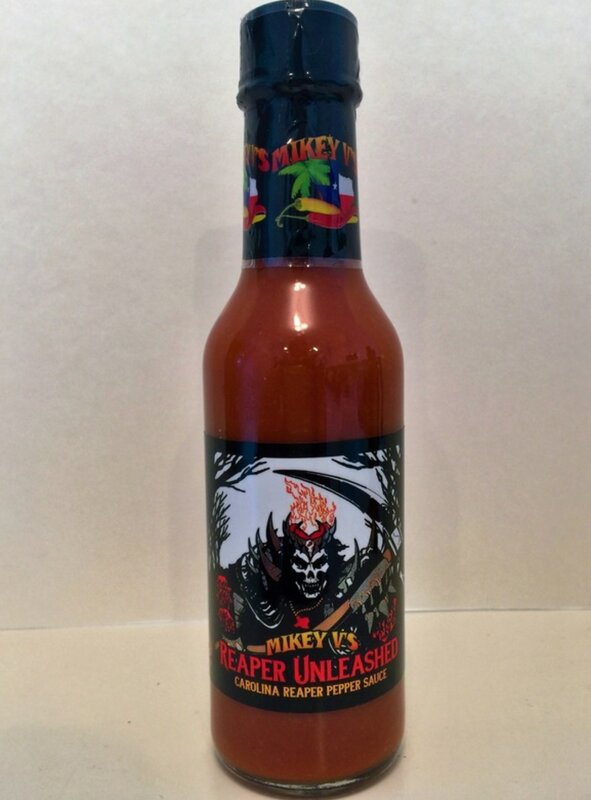 REAPER UNLEASHED from MIKEY V'S FOODS.. Now this is a hot one and it will continue to burn long after the flavor is gone. You defiantly get the flavor and heat from the Carolina reaper pepper right up front. Did I say it was hot?! Yes it is! 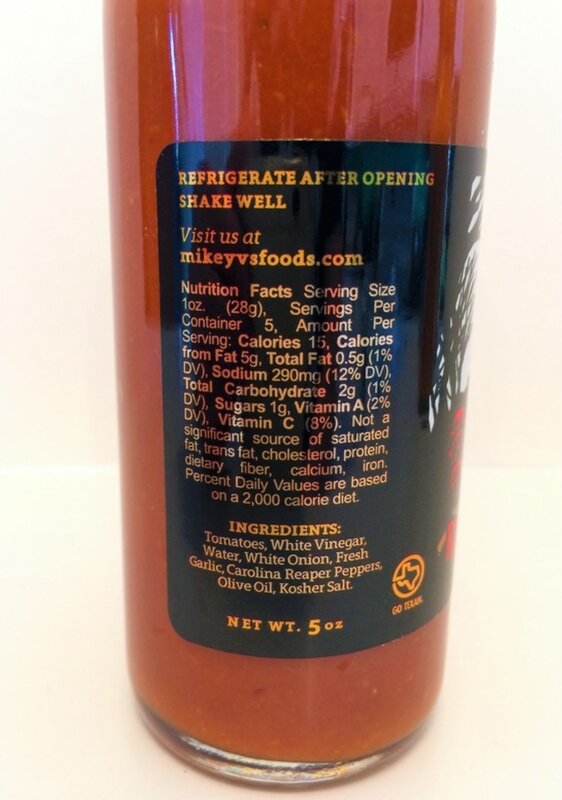 This is a pure and simple reaper sauce with the flavors of tomatoes, vinegar, white onion, garlic, olive oil and salt. It doesn't take many ingredients to make this great tasting sauce. This would make any tomato based sauces pop with flavor and heat. 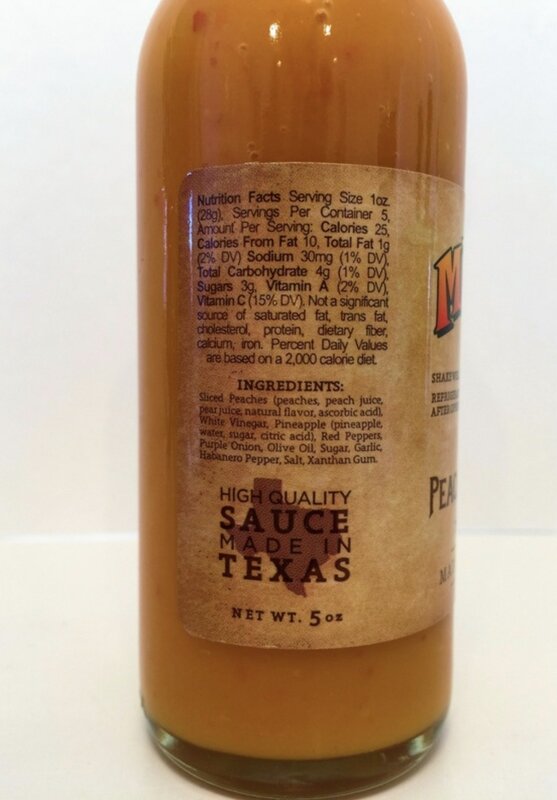 Used in a burger, meatloaf, soups or once again as a fantastic wing sauce.